Expertly crafted using solid reclaimed pine, this dining collection provides relaxed sophistication for creative and comfortable entertaining. With options for any size dining space and the choice of three different finishes – Barnwood, Vintage Black, and Vintage White – this group blends rustic and natural style to bring a unique and exceptional feel to your home. 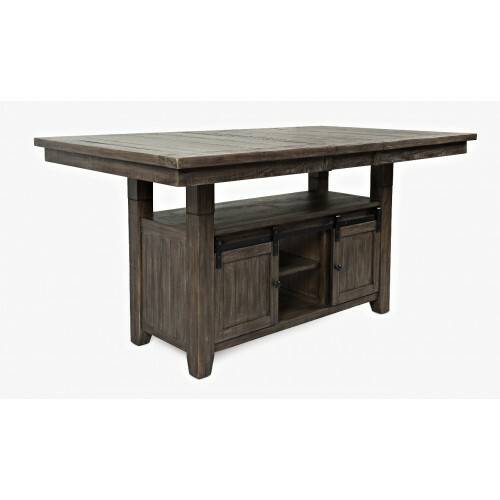 Can be used as a standard or counter height dining table with the use of included risers.